Since I took over the kitchen, cooking three meals a day, I found that I am practically getting surprises every single day. Expired food that are waiting to be thrown out. Food that left in less than one single portion, also waiting to get thrown out. Frozen food that are kept in mini portions but don't know how long ago. Geesh, I have been throwing food away and I felt so sinful. Also thinking that I lack dish cloths, I brought more and guess what, I have 5 dish cloths hanging around and yet today I found that my helper "open" a new one again. Haiz.... I think from today onwards, I better take over the responsibility in the kitchen. Okay I have to be happy and these are what I churned out these past few days. I hardly buy prawns because somehow my helper can't cook prawns well. She is always deep frying prawns fritters. 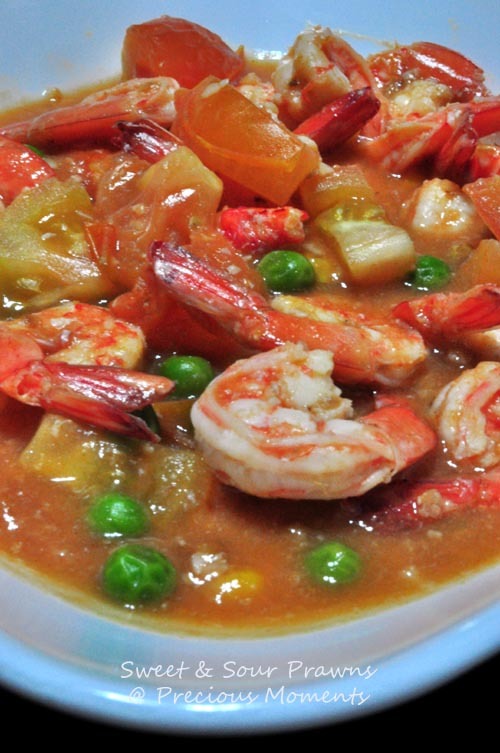 If she attempts others, the prawns always tasted as if it is not fresh, even if I buy it in the morning and have it cook in the night. I always wonder why because her dad is a fisherman, so cooking seafood should not be an issue, right? This dish reminded of my mom's cooking. 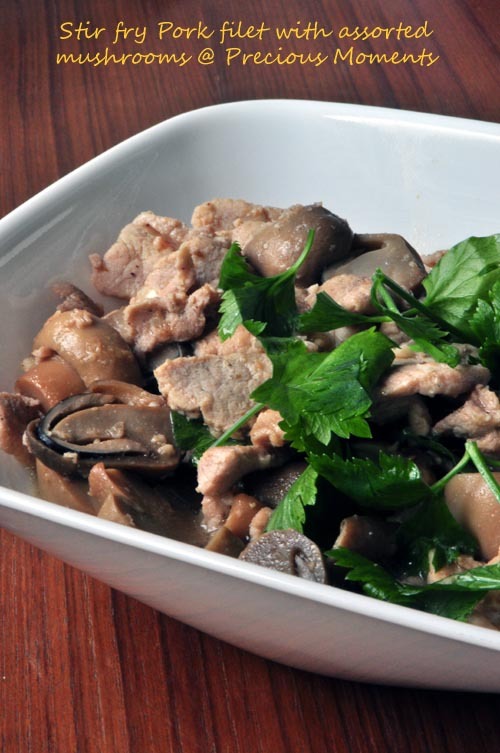 Stir fry pork fillet with assorted mushrooms. I love straw mushrooms! 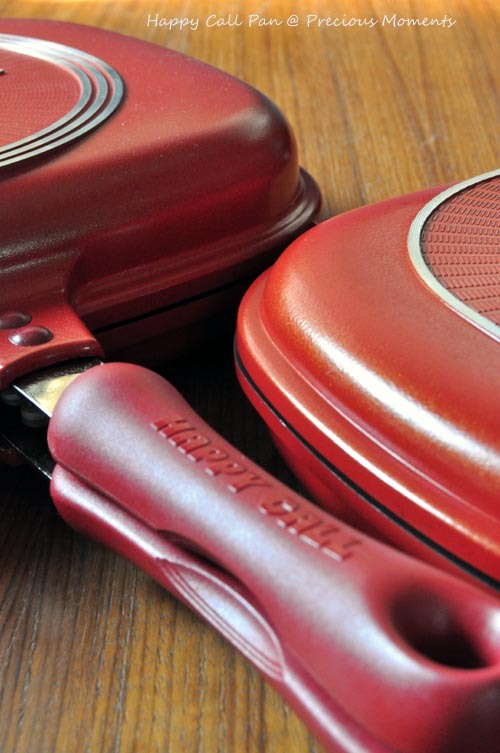 Hubby bought me a bigger size Happy call pan while he was in Korea. He wasn't able to buy the Ocher Deeper Pan as it was out of stock but he got me this version which is pretty similar to the brown one, only 5mm difference in dept. I am happy because it matches the colour of the smaller one! and this is what I churned out. 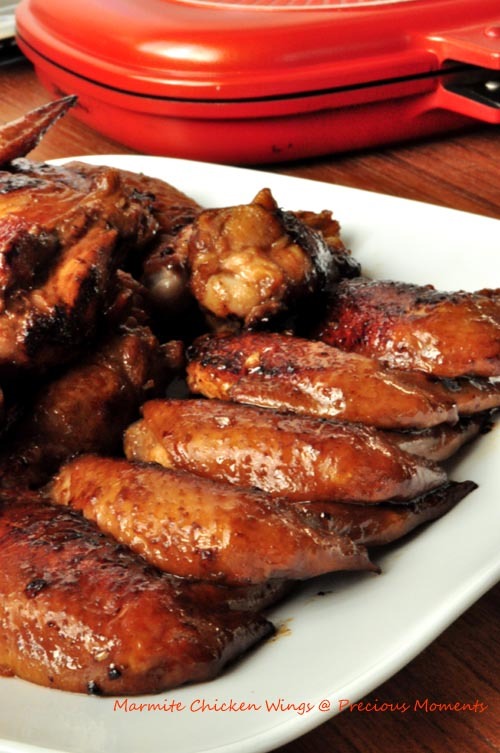 Marmite Chicken Wings. I will definitely cooked this again! Okay, I had been packing and my baking taken a back seat. I got to start the last round no matter what by tomorrow. Heat pan. Set to low heat. Cook for 3 mins, flip over and continue 3 mins. Turning it often to avoid burnt. Happy cny to u, Edith! Wishing you and your family a happy and prosperous New Year!! Wow! Looking at all your CNY food and goodies I must salute you. You are so capable on whipping out those goodies. Hanushi, same to you too. Ah Tze, I also wish I do away with one. Was so much happier without one for 5 years. Giving me so much emotional stress. But right now I have to let her stay coz I am moving hse. Gong Xi Fai Chai to you. Gong Xi Fa Chai! The chicken wings needs to be marinate with all the sos mentioned in your recipe?